Gunnar Carlsson is one of the most renowned mathematicians in the world. He is Ayasdi’s President and a co-founder and has an undergraduate degree from Harvard University and a doctorate from Stanford, where he was Chair of the Department of Mathematics from 1995 -1998. Over the past 35 years, Gunnar has taught at the University of Chicago, University of California, Princeton University, and since 1991, Gunnar has been a professor of mathematics at Stanford University, where he has been a thought leader in a branch of mathematics called topology, the study of shape. 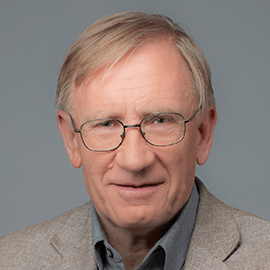 In the theoretical sense, topology has been around since the 1700s, but Gunnar pioneered the applied use of topology to solve complex real world problems starting in the late 1990s. In the early 2000s, this work led to $10M in research grants from the National Science Foundation (NSF) and DARPA to study the application of Topological Data Analysis (TDA) to problems of interest within the U.S. government. In 2008, based on the success of these efforts, Gunnar, along with two other Stanford mathematicians, co-founded Ayasdi.